Simple tasty & summer time fresh! Spinach is a wonderful green-leafy vegetable filled with wholesome nutritional, antioxidants and anti-cancer composition. This recipe is easy to follow & full of flavor! 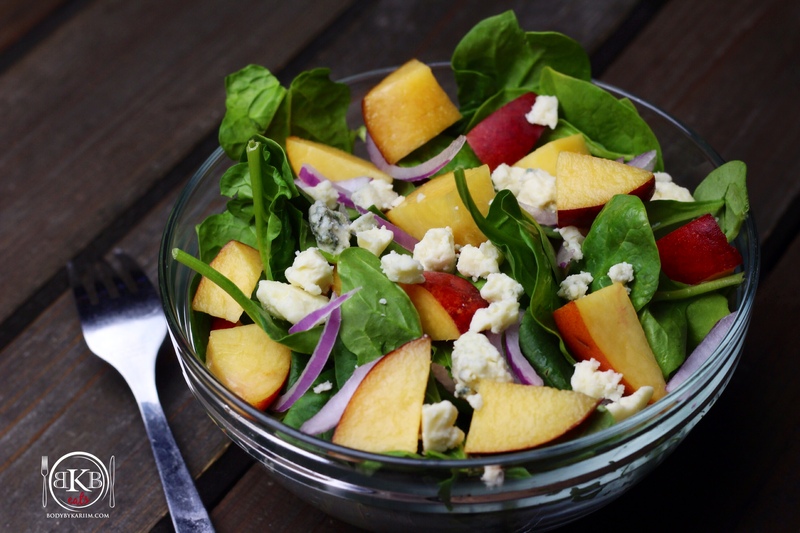 Place Spinach, sliced red onion and fresh basil in a large salad bowl. Wash peaches, and slice into small slices, discarding pit. Add to salad bowl. Crumble blue cheese over top or salad. Toss salad with dressing and serve.